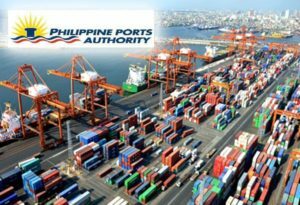 The Philippine Ports Authority (PPA) will be accelerating the implementation of port infrastructure projects nationwide, with the revenues showing a robust growth in the first quarter of 2018, the Philippine News Agency informs. The PPA revenues reached PHP 3.78 bln (USD 72 mln) in Q1 2018, which is 9% higher than the PHP 3.48 bln in the same period last year. This was reportedly driven by strong performance of the government’s share from storage fees which increased by 50% and lay up fees by 183% among others. The total throughput of PPA ports reached 55.2 mln mt. in Q1 2018, just 1% up from Q1 2017, with Manila/North Luzon accounting for almost half of the overall volume: 24.7 mln mt. The container traffic rose by a significant 7%, up to 1.76 mln TEU, where Manila handled almost 70% of this volume: 1.198 mln TEU. The strong financial performance will enable the agency to further improve ports which are heavily congested with cargoes and passengers. “We have been injecting so much investment in our ports in support of the Build-Build-Build program of the Duterte Administration,” PPA General Manager Jay Daniel Santiago said in a statement Tuesday. The net income of PPA has declined by 4% to PHP 2.26 bln (USD 43 mln) from PHP 2.37 bln last year due to its hefty first quarter expenses on maintenance, particularly on repair, maintenance and dredging. “Dredging as well as repair and maintenance costs comprise almost entirely our expenses for the period, all aimed at making our ports efficient and more responsive to the demands of times,” Santiago commented. The PPA is currently conducting 45 locally-funded port development projects in Luzon, of which 7 have already been completed, 19 are ongoing and another 19 projects are for procurement; 19 for Visayas where 3 have already been finished, 8 projects are ongoing and 8 are for procurement; and 40 for Mindanao where 5 have been delivered, 21 ongoing and 14 under procurement. The nation’s ports currently undergoing improvement include Puerto Princesa, Eastern Leyte, Ilocos Norte, Occidental Mindoro, Batangas, Ozamiz. The PPA expects that it could hit its gross income target of PHP 16.18 bln as some of the port development projects go live this year.